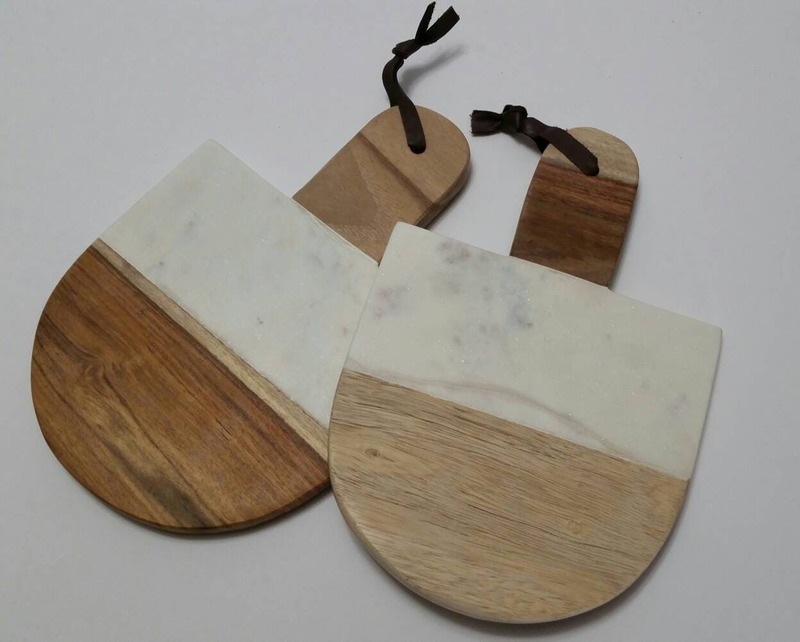 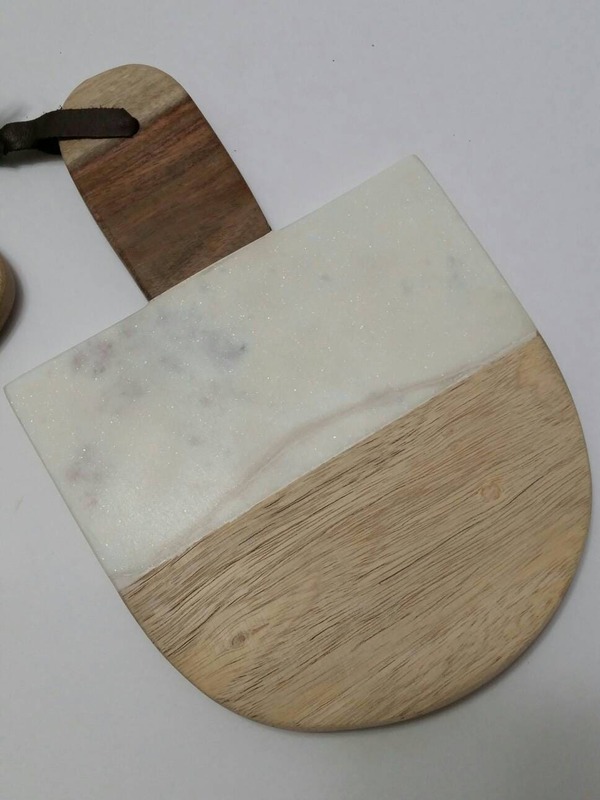 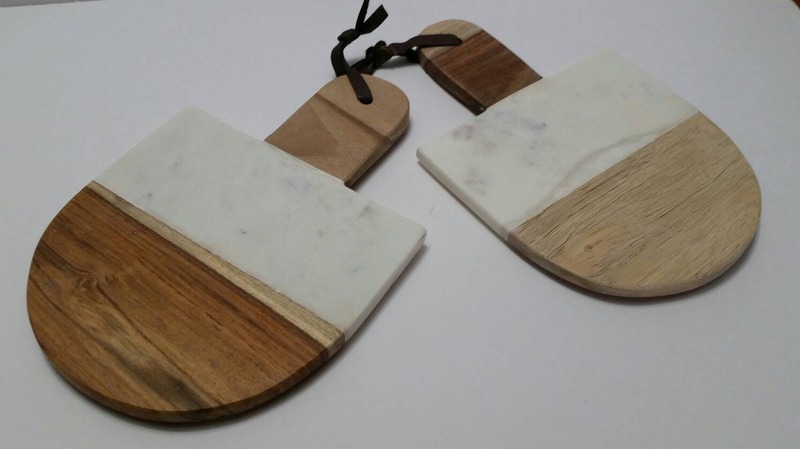 Small Paddle Shaped Hand Polished White Carrara Marble Cheese Board With Natural Mango Wood Hostess or Wedding Gift. 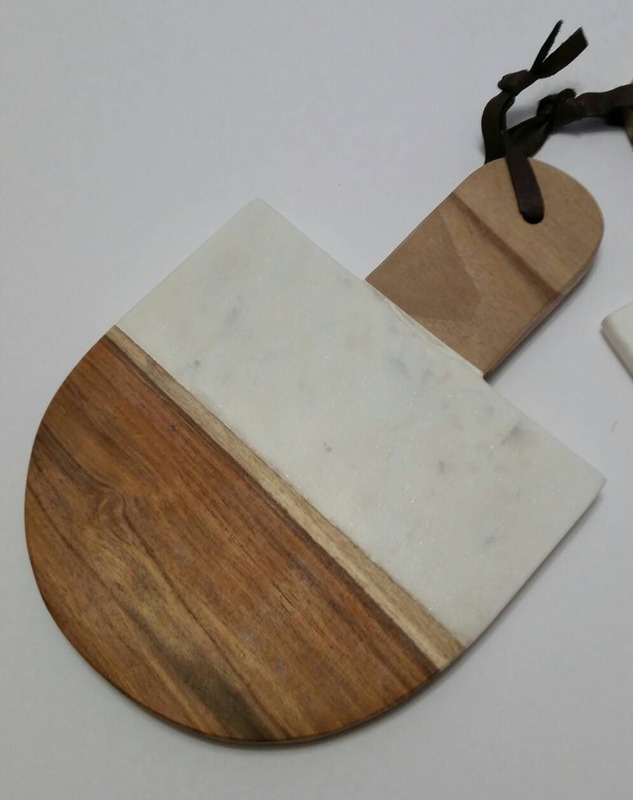 Small Hand Polished White Carrara marble cut and paddle shaped into a cheese board with natural mango wood. 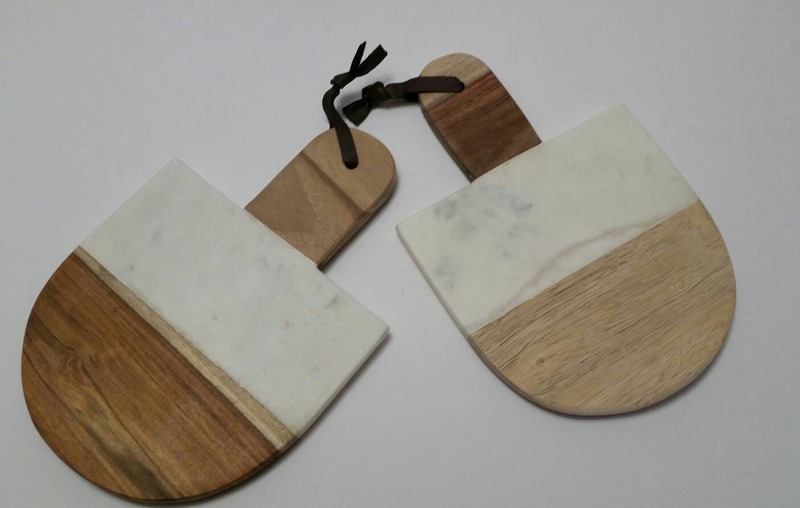 Overall size is 6" w x 9" long x 1/2" thick.